Want to get all the information on Sony at IFA 2012? Check out TechRadar's news and videos on the hot new products. 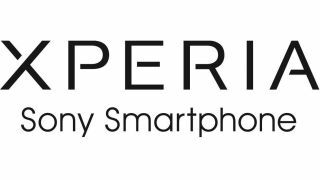 One of the biggest announcements of the conference was the launch of the Sony Xperia T - the best of Sony in a smartphone. Everybody wishes for a smartphone that combines the best of everything into one slim and stylish handset, and now that's here with the Sony Xperia T - bringing the best in photography, movies, music and gaming. With a 4.6-inch Mobile BRAVIA-powered HD display, everything looks crisp and clear, so whether it's jaw-dropping action or the latest bass-rocking tunes, the Xperia T is the only phone you'll need. With NFC bulit right in, the Xperia T allows one-touch access to Xperia SmartTags, simplifying your life by cutting out endless fiddling with settings when you enter your car, get creative in the kitchen or simply want to go to sleep. And with the Xperia T being PlayStation Certified, you know you're going to get the best of gaming on the move, with reams of classic titles available on this cutting-edge smartphone. With the new Sony smartphone you'll have access to entertainment no matter whether you're on the beach or relaxing on the sofa – and you can even port it to the larger screen too. Heard a tune on the radio? With Music Unlimited you get access to millions of tracks on your mobile, PS3, TV or tablet, bringing the best of everything from the indie scene to the latest popstars. With Video Unlimited you've got access to the latest Hollywood blockbusters, classic flicks and the newest TV shows on your favourite devices. Most new releases are available 28 days before other movie services, and with TV shows often available the day after they air you'll never be stuck for entertainment on your Sony smartphone or tablet. And for those that like to keep their favourite videos and pictures safe, Sony PlayMemories is pre-installed to keep them secure in the cloud. A world of entertainment wherever you are. Read more about how futuristic technology will power your smartphone experience. From streaming to a Bravia TV to using the inbuilt NFC and Sony's Xperia SmartTags to quickly begin playing it through your home cinema system, your Xperia smartphone can become the hub of all manner of media in the home. Find out more on how Sony is connecting your gadgets to create super home entertainment with a smartphone. We teamed up with T3 to bring you the best of Sony - and got a great conversation happening around the technology in your smartphones. Those that joined the party over at @T3DotCom at 3PM, on September 5 used the hashtag #WinWithXperia to be in with a chance of winning a Sony Xperia T.
There was lively debate over the big trends in the industry too - so be it learning about NFC is going to change your life, giving your thoughts on the impending 4G phones or just kicking back and seeing what people think of massive screens, it was a thoroughly entertaining hour's conversation that ended in lucky readers bagging a new phone! Stay tuned for our next Twitter party if you want to share your thoughts with like-minded peers and learn all about how technology is shaping our lives every day.